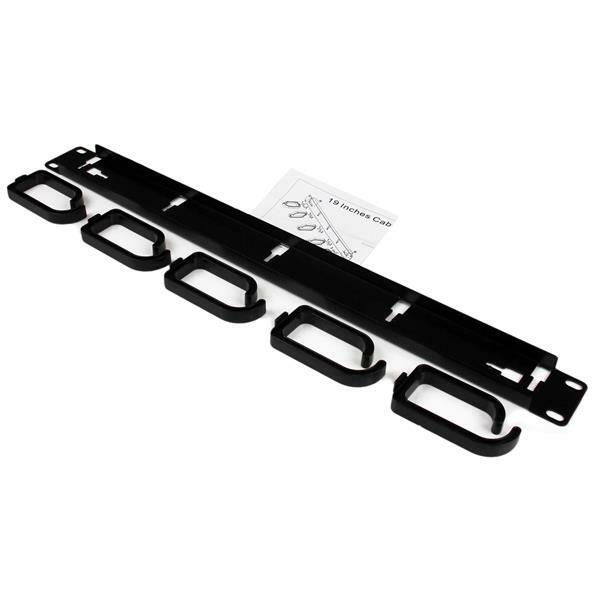 The CABLMANAGER2 1U Cable Management Panel mounts to a standard 19” 2 or 4-post rack to help you organize network, server or KVM cabling, using D-Ring hooks. This TAA compliant product adheres to the requirements of the US Federal Trade Agreements Act (TAA), allowing government GSA Schedule purchases. 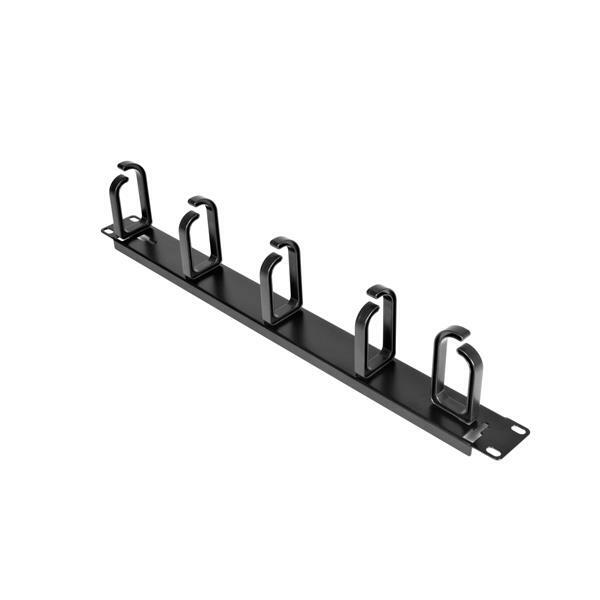 Constructed of high-quality steel, the cable organizer panel offers 5 removable ABS plastic D-Ring hooks, spaced 4in (105mm) apart for routing cables through your server rack and reducing cable strain. 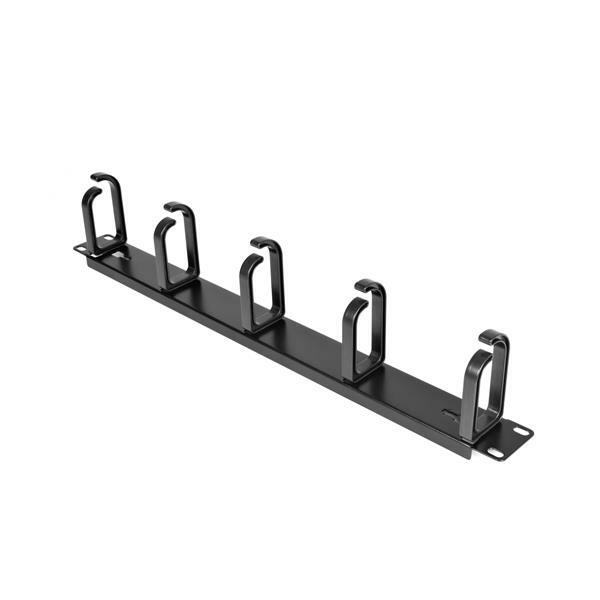 As an added benefit, the hook on either end of the panel can be turned 90° to accommodate horizontal or vertical rack cabling as needed. 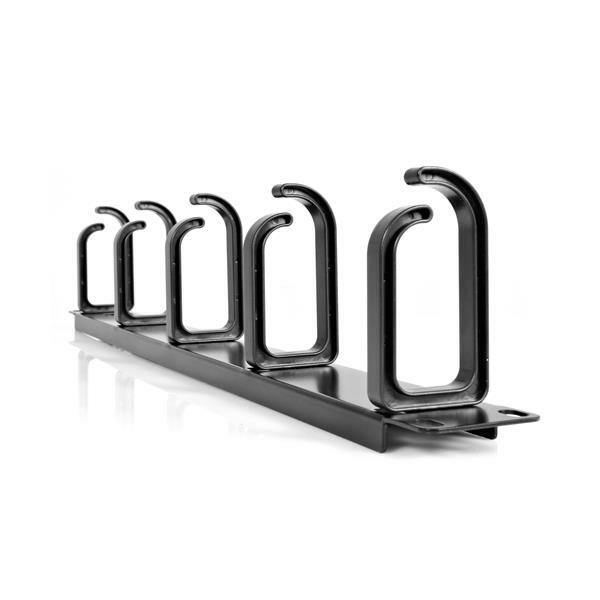 Adding a cable manager in between equipment also functions to close off open spaces in the rack, promoting proper airflow.